Note: GS4 is a modified version our most popular and renowned GS3 omni-speaker. Both speakers have the same power output. 2 tweeters are added to the GS4 to provide stereo outputs. 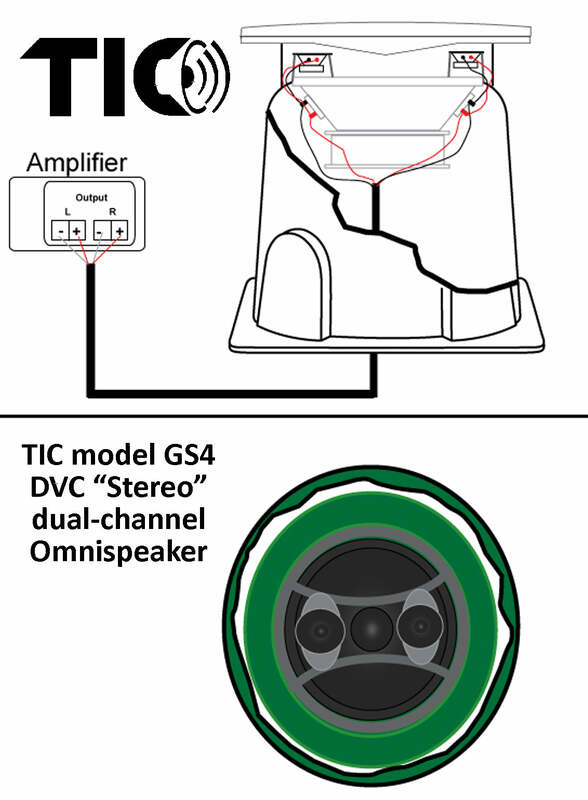 The DVC feature of the GS4 speaker is best suited for ease of impedance matching or when stereo sound is desired coming out from a single speaker. Alternatively, an outdoor stereo sound system can be designed by incorporating our GS3 speakers in pairs.